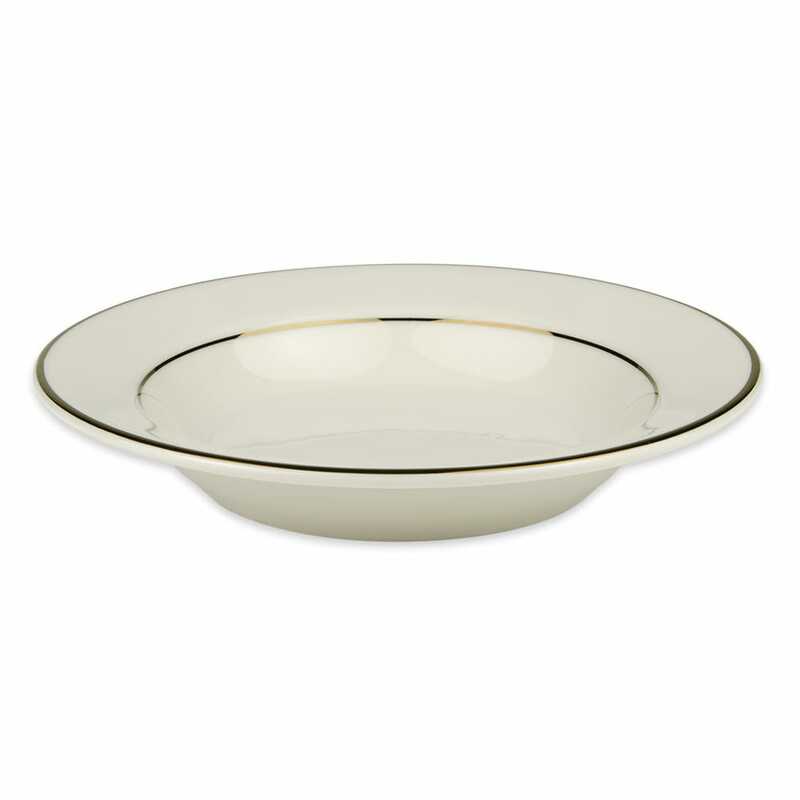 The Homer Laughlin 4141409 soup bowl comes in ivory so it can easily fit into almost any theme. 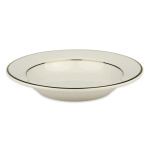 A thin gold line runs along the rim of the dish to provide an accent; this material is microwaveable. 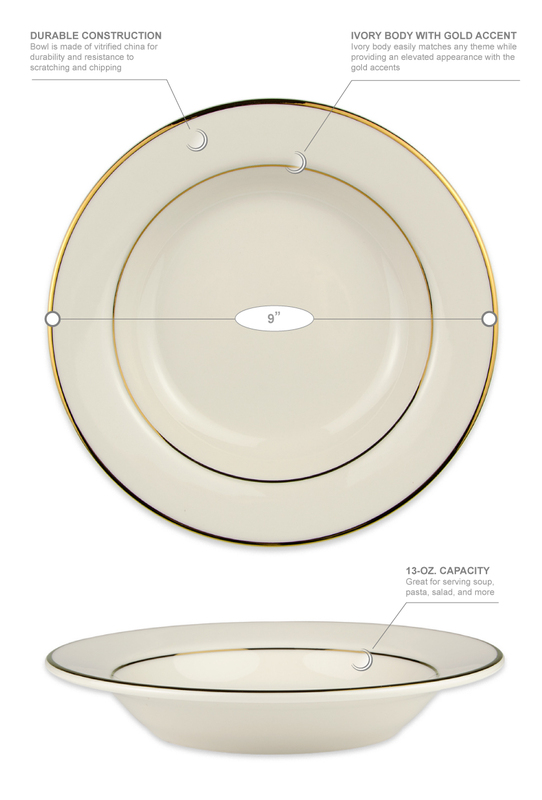 The china construction of the dish makes the bowl durable and resistant to scratching and chipping. The 9 inch diameter is ideal for lunch and small dinner portions. The Homer Laughlin 4141409 soup bowl has a capacity of 13 ounces.